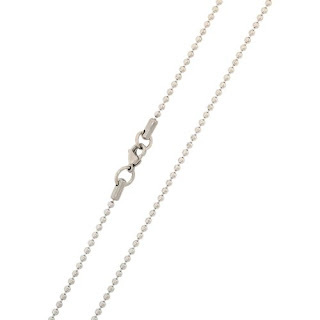 Stainless Steel Beaded Chain Necklaces Only $0.99 + Eligible for FREE Shipping! Have a lot of pendants but no chain to wear them on? I know I do so I just picked up a few of these Stainless Steel Beaded Chain Necklaces for only $0.99 each! You can choose from different sizes, from 16" all the way up to 30".They ship for FREE with Prime or Super Saver Shipping too. Hurry over because I doubt these low prices will last long!